Democrats Winning Big Money, GOP Winning Big Secret Money : It's All Politics Democrats have the biggest-spending superPAC so far in Senate Majority PAC, but that could be overshadowed by secretly funded Republican-leaning groups Crossroads GPS and Americans for Prosperity. Republican strategist Karl Rove's Crossroads GPS group is planning to spend at least $23 million in key Senate races in the final two months of the campaign. The group is a tax-exempt non-profit and is allowed to keep the names of its donors secret. Democrats this election have done a good job attracting a lot of big donors, but Republicans appear to have the big advantage when it comes to big secret donors. The strength of Democratic House and Senate fundraising committees — and their supporting superPACs — has been a surprise development this cycle, even as the Senate seems poised to flip to Republican control and the House is almost certain to remain under GOP leadership. Now Republicans will get even more help from their big guns from the past two elections: the tax-exempt nonprofit groups Americans for Prosperity and Crossroads GPS. Americans for Prosperity, founded by the industrialist billionaire Koch brothers, has already been running tens of millions worth of ads attacking Democratic senators in key states. Now it says it will also run ads specifically telling voters to defeat those Democrats on Nov. 4. It will not reveal how much it intends to spend, but earlier media reports suggest the group's total outlays this election could be near $300 million, although that figure includes voter registration and turnout efforts. 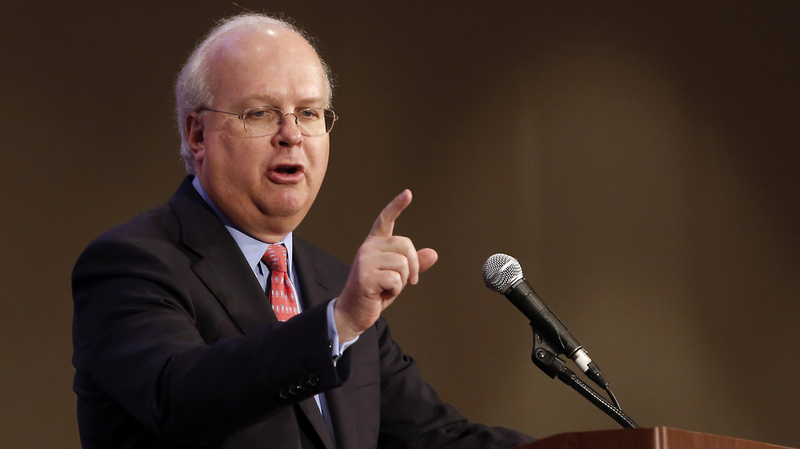 Crossroads GPS, co-founded by GOP operative Karl Rove, is on track to raise some $75 million this election, according to spokesman Paul Lindsay, and will spend at least $23 million of that in the final two months of the campaign in six states, including $9.5 million in Colorado alone. Democrats and liberals, in contrast, have focused on superPACs that disclose the name of every donor who gives more than $200. Tom Steyer, the San Francisco investor and climate change activist, has given $40.9 million to his NextGen Climate Action Committee and $5 million to Senate Majority PAC, according to an NPR review of Federal Election Commission records. Former New York City Mayor Michael Bloomberg has donated $6.9 million to his pro-gun control Independence USA PAC and $2 million to Emily's List's Women Vote superPAC. But in terms of groups that keep their donors secret, Patriot Majority USA and the League of Conservation Voters are the only Democratic-leaning nonprofits that have spent more than $1 million on election-related activity so far, with each reporting about $7 million in spending to the FEC. How much these politically oriented nonprofit groups will actually raise and spend won't be known until next spring, when their annual filings to the Internal Revenue Service come due. But while those documents show how much was raised and how it was spent, the names of the donors will likely remain secret forever. That actually is the only advantage for donors — there is no tax deduction or other financial benefit to giving to these groups rather than to superPACs. In the 2012 election cycle, for example, Crossroads GPS spent $71 million on ads directly advocating against a Democratic candidate or for a Republican one. But it spent $94 million on ads attacking President Obama and Democratic members of Congress. The difference between the two approaches might be unnoticeable to the typical voter. A so-called "issue ad" will recite all the terrible things a senator has done, and then urge viewers to call that senator's office to register their displeasure. An "express advocacy" ad will recite those same terrible things, but then tell the viewer to vote that senator out of office. Though slight, the distinction makes all the difference in the world, at least in the way the FEC and the IRS interpret election and tax law. By using words like "vote" or "defeat" or "elect," an ad is seen as attempting to sway an election. Ads that don't use those words are merely educating the public on "issues." The IRS has ruled that nonprofit groups must spend the majority of their money on "social welfare" functions — such as educating the public — in order to maintain the tax status that enables them to keep their donors' names secret. Advocates of campaign finance reform and many Democrats argue that the loophole allows the wealthy to influence elections without public accountability, thereby undermining the "who-gave-who-got" premise behind disclosure laws. Many conservatives argue that disclosure laws unfairly silence their donors because they fear public criticism and boycotts of their businesses.